The reality experienced when a small business is operating is often quite different from the original expectations of its owners. Often people start a business because they have a technical or creative skill or an innovative idea, but may have little start-up knowledge or are without general management experience. Getting bogged down with day to day issues can make you lose sight of your own dream. That’s where having the expertise and knowledge of a Business Mentor can help get those business ideas of the ground and running! 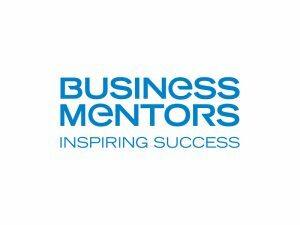 Business Mentors New Zealand (BMNZ), a service of Business In The Community Ltd, runs the Business Mentor Programme, which operates through 18 Agents nationwide. BMNZ has over 1,900 independent volunteer mentors, who are experienced business people with a genuine desire to make a difference to small business – they are committed to sharing their skills, knowledge and experience. Mentoring can provide peace of mind, inspiration or simply a sounding board to bounce ideas off. The mentoring service is available to any New Zealand company that has been in business for at least six months, with evidence of accounts, and less than 25 full-time employees, and recently a Start-up Business Mentoring Programme has been introduced which provides six months of accelerated mentoring for people who have a new business idea or are looking for help in starting a new business. There is also a specialised Export mentoring service available. A registration fee of $225 + GST applies for existing businesses, which entitles applicants to use the mentoring service for one year. The start-up programme is $300 + GST for six months. This is the only cost – the mentoring a business receives is free.